The TRADE > News > Regions > Americas > Taxing times ahead for US investors? Taxing times ahead for US investors? NYSE Euronext chief executive Duncan Niederauer recently dismissed March’s 8.5% rise in the S&P 500 index, its best monthly performance since October 2002, asserting that the “real money investors are still waiting”. Niederauer predicted that institutional money would join the short-term volatility traders to drive a rally in US stocks in June and July, but regulatory developments may yet dampen his optimism. In particular, a bill introduced in the US House of Representatives to place a tax on securities transactions could add to the downward pressure on equity trading volumes. This in turn could lead US institutions that rely on full-service brokers to continue to place executions with existing brokers to maintain commission levels and ensure access to research and other broker services. 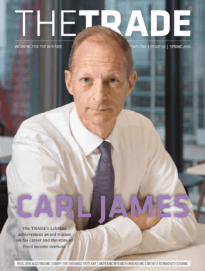 Previous articles written in association with our April poll on the allocation of business between bulge-bracket and agency-only brokers reflect a rapidly changing global equities trading landscape. In Asia, a new breed of execution-focused broker is using experienced ex-bulge-bracket sales traders to help buy-side traders unearth scarce liquidity. Meanwhile, Europe’s institutional investors are putting the sell-side under intense scrutiny, with technology-based solutions critical as liquidity fragments further under MiFID. These elements are also evident in the US, but the regulatory backlash that has inevitably followed a crisis with its roots in the country’s sub-prime mortgage market introduces yet another perspective. The intention of H.R. 1068 – Let Wall Street Pay for Wall Street's Bailout Act of 2009 – could not be less ambiguous. Introduced on 13 February by Peter DeFazio, a Democrat from Oregon, the bill seeks to recoup the net cost of the Troubled Asset Relief Program of the Emergency Economic Stabilization Act of 2008, by requiring “securities trading facilities” to pay an excise tax on a specified percentage of the value of securities and commodities transactions. The bill could add a 0.25% charge to any order placed in the US equities market for both buyer and seller. The bill, which has 13 co-sponsors, may never make it out of the House Committee on Ways and Means, but there is a chance it could be propelled through the legislative process by politicians keen to demonstrate their solidarity with voters angered by Wall Street compensation levels. Until now, US equity trading volumes have not been hit as hard as other regions. In March, Credit Suisse reported that average daily volumes in January and February actually rose 25% in US equities trading over the same period in 2008. Since then, rising stock index values have brought more participants back to the market. But with Aite Group recently claiming that high-frequency traders account for more than 60% of average daily volume in US equities, Niederauer’s cautious assessment of institutional appetite still rings true. 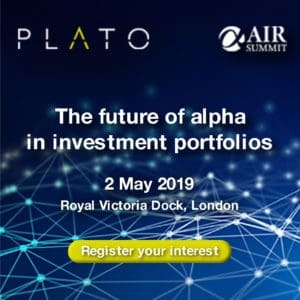 As does anecdotal evidence that many large fund management groups operating in the US are renegotiating commission rates – paying for algorithmic execution at a similar rate that they might recently have expected to pay for orders worked by sales traders – with core brokers. This suggests institutions do not wish to jeopardise access to full-service brokers while sitting on their hands in the equity markets. Undoubtedly, commission-sharing agreements allow buy-side traders significant freedoms in choice of execution broker. And in ‘normal’ circumstances, it is generally always possible to find a way to pay research providers without compromising best execution. But if trading volumes remain low for an extended period, some tougher decisions may lie ahead.